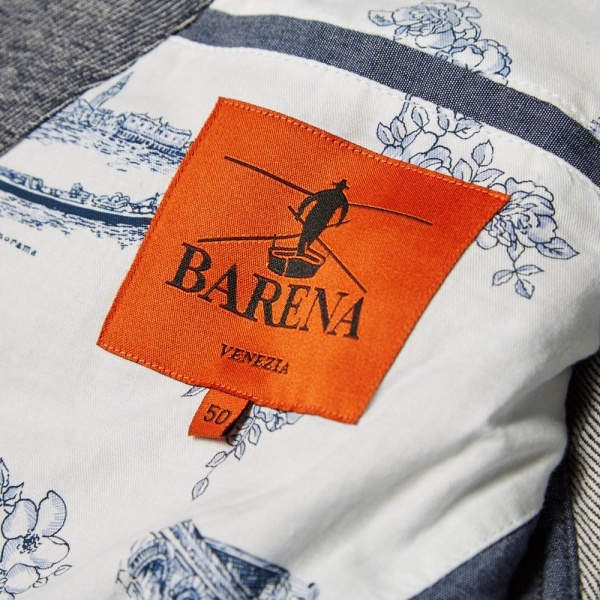 The Tati Jacket is a new Barena design for Spring/Summer 2014, a lightly structured, three-button blazer, expertly made by experienced Italian craftsmen. 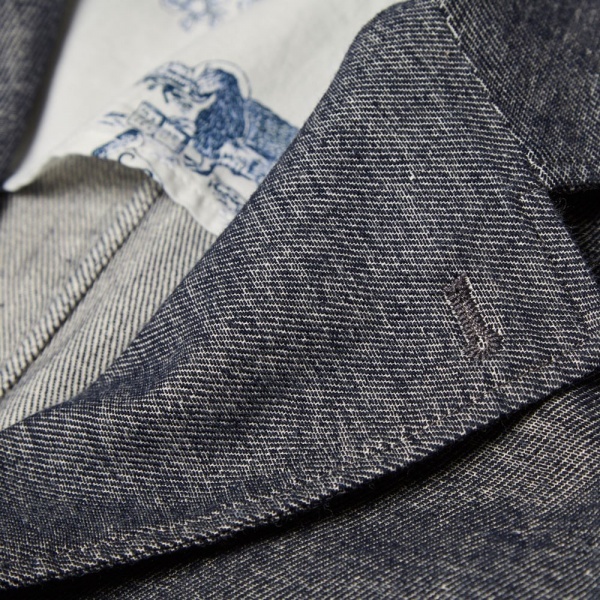 Styled with the kind of relaxed European sophistication that allows it to be worn dressed up or casually, or even as part of a suit, the attention to detail is exceptional and the styling typically subtle. With carefully placed darting, a traditional notched lapel and a workwear inspired pocket design, the Tati is finished with a graphic print partial lining. Handmade in Italy. 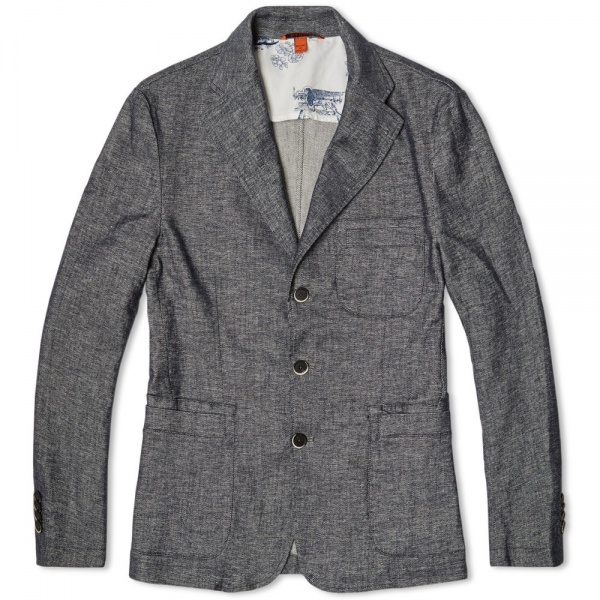 This entry was posted in Tops and tagged Barena, blazer, European, Italian, Italy, jacket, Made in Italy, Spring, Spring Summer, Summer, Tati, Tati Jacket, Three Button. Bookmark the permalink.